INSHA EXPORTS PVT LTD is a leading installer of all types of automatic sliding, swing, curve, telescopic and revolving doors. We offer italianand korean automatic door operators with fabricrationmatching budget contraintsof project . 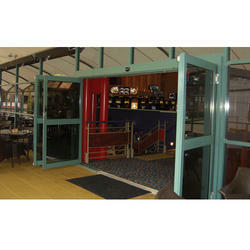 We execute all types of revolving .telescopic and revolving Doors . We take projects on turnkey basis including fabrication and have best team of professionals to execute a high quality job. We are successfully meeting the requirements of our clients by offering the best quality range of Swing Door. Absorbed Power 870W, Thermal Cut Out : 140 deg. 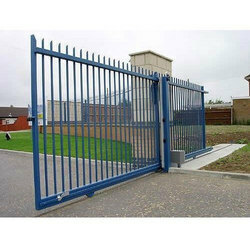 We offer our client all kinds of make Automatic Sliding Gate system. We also deal with tripod barriers, flap doors, full length turn styles, dock levellars, swing gates, automatic swing doors, telescopic gates. 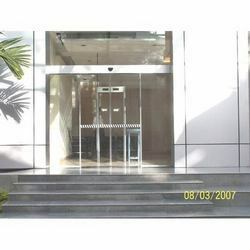 Our company has created niche in the field of offering Automatic Revolving Door to the clients. This product goes through various parameters of quality check to make sure that the industrial standards are effectively and efficiently met. 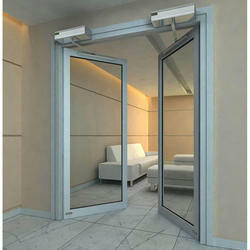 Automatic Revolving Door is extensively used in homes, hotels, restaurants and other places. They offer large throughput capacities under heavy traffic conditions and come with the option of integral showcases for advertising purposes. Our Sensor Sliding Glass Doors have added beauty to various projects like Hotel Imperial palace,Hotel Peninsula grand, Bombay dyeing and many other reputed customers. 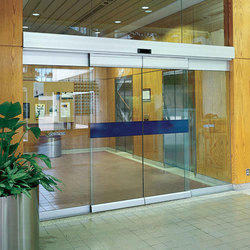 Adis Australia automatic doors combine fixed glass and moving glass in one door track only. Its profile is alumunium sleek with 132mm ht and is wireless with clean track. Clutter free track makes it for housekeeping staff to maintain.No of components are few and all in sound proof insulated unit comes prewired from Australia. surface and ceiling fitting possible. Architects favorite and customers welcome . 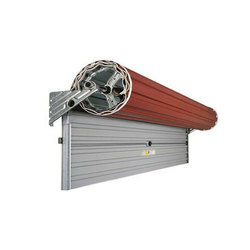 We provide Automatic Rolling Shutters. Insha exports offers various solutions to entrance door and garrage automation systems for medium to large industrial applications. We deal in spike barriers, traffic barriers, sliding, swing, telescopic gates, dock levellars, turnstyles, flap doors integrated with all RFID and security systems.